12x8x3 inches. While trimming the Manitoba Maple in the back yard I came across this perfect right angle branch. 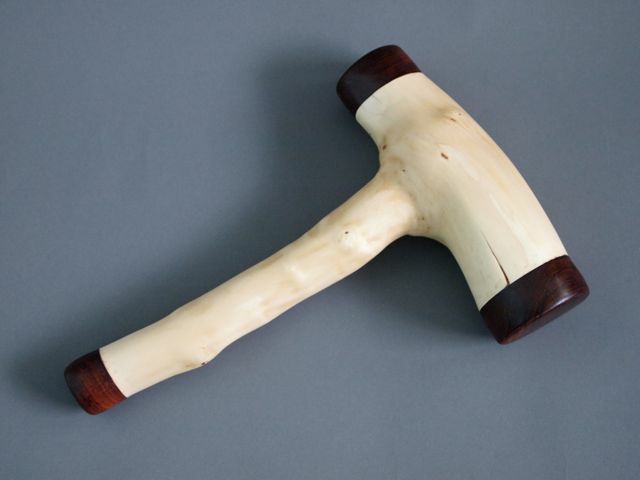 It looked like a mallet in the rough, so I dried it, capped it with bloodwood and we have a practical carver’s mallet. Available.